The committee's final report on the investigation was approved on Thursday and now awaits an intelligence agency review. "The committee found no evidence that meetings between Trump associates—including Jeff Sessions—and official representatives of the Russian government—including Ambassador Kislyak—reflected collusion, coordination, or conspiracy with the Russian government," the list states. The report also said former White House National Security Adviser Michael Flynn pleaded guilty to making a false statement to the FBI regarding conversations with Russian Ambassador Sergei Kislyak "even though the Federal Bureau of Investigation agents did not detect any deception during Flynn's interview." The committee said opposition to Trump from the U.S. national security establishment prompted the campaign to hire unqualified aides such asGeorge Papadopoulous and Carter Page. Trump advisers had contacts with the pro-Russian Wikileaks, but none were involved in the theft or publication of Clinton campaign emails, the report said. 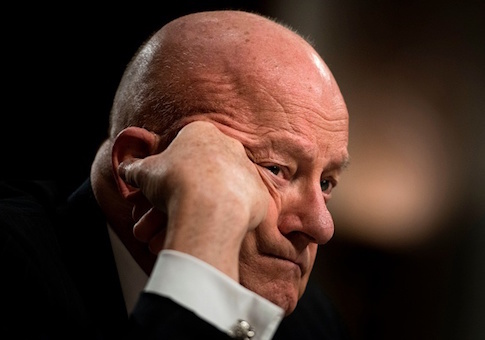 On the former DNI, the report says that Clapper, now a contributor to CNN as a national security analyst "provided inconsistent testimony to the committee about his contacts with the media, including CNN." A CNN spokeswoman did not return an email seeking comment. Clapper could not be reached for comment. The report also states that leaks of classified information about Russian intentions to sow discord in the U.S. presidential election began prior to Election Day. The disclosures of U.S. secrets alleging Russia was working to help elect Trump "increased dramatically" after the Nov. 8, 2016 election. The panel suggested that the leaks "correlate to specific language" in a U.S. intelligence community assessment of Russian election meddling. The findings also say the Democratic National Committee and Hillary Clinton's presidential campaign funded the anti-Trump dossier produced by former British intelligence officers Christopher Steele. Steele "claims to have obtained his dossier information second- and third-hand from purported high-placed Russian sources, such as government officials with links to the Kremlin and intelligence services," the report says. "Christopher Steele's information from Russian sources was provided directly to Fusion GPS and Perkins Coie and indirectly to the Clinton campaign," the report said. The report suggests that the research group Fusion GPS was used by Russia for disinformation. "Prior to conducting opposition research targeting candidate Trump's business dealings, Fusion GPS conducted research benefitting Russian interests," the report said. The Washington Free Beacon hired Fusion GPS early in the 2016 election campaign but had no role in the Steele dossier. The report also concluded that Russia intelligence used social media to sow political discord and undermine the election. Also, U.S. intelligence community judgments regarding Russian leader Vladimir Putin's strategic intentions "did not employ proper analytic tradecraft," the report said. The report said Special Counsel Robert Mueller indicted former Trump campaign aide Paul Manafort on charges unrelated to collusion, coordination, and conspiracy between the Trump campaign and Russia. This entry was posted in National Security and tagged James Clapper, Russia. Bookmark the permalink.